If you are a movie enthusiast and wish to take your video watching experience to a whole new level， then it’s time to upgrade your old DVD player with a new Blu-Ray DVD player. The latest Blu-Ray devices come loaded with an advanced picture and audio technology which results in an excellent output when attached to your home theater. You can even opt for 4K Blu-ray player if your TV supports the format and you have 4K content available. A Blu-ray player not only supports playing Blu-Ray discs but also DVD and CDs. These latest devices also allow streaming content from the internet, media servers, and local PCs. There are a plethora of brands and models for Blu-ray players to choose from. You can go for Bluetooth DVD player, Blu- ray DVD player with WiFi, smart Blu- ray DVD player, a portable one or any other which best fits into your requirement list. To help you buy the best Blu- ray DVD player, we have come up with a list of top 10 models. These Blu-ray players are best in different aspects so that you can pick the one as per your requirements. • Support playing UHD, Blu-ray, Blu-ray 3D, SACD, DVD, and CD. • Support Dolby Vision Disc playback. • Excellent connectivity with full 7.1 analog output and HDMI input for streaming player connection. This is an Ultra HD high-end 4k Blu-ray player that is perfect for users looking for excellent videophiles. Supporting full suite of AV formats, the model comes with 3 HDMI ports and deliver superb A/V reproduction. Compatible with HDR10 encoded discs, it is one of the few models that are also Dolby Vision HDR upgradable through a firmware update. In terms of audio, pass through as well as decoding of the Dolby and DTS formats is supported. The player can also pass through Dolby Atoms and DTS:X formats. This Blu- ray disc DVD player does not support internet streaming which can be a drawback for users looking for this feature. So if you can let go the streaming option, Oppo Digital UDP-203 is a good choice. • Compatible with a range of discs including HDR-encoded Ultra HD Blu-ray discs, standard 2D and 3D discs, CDs, and Blu-ray. It also supports discs which are recorded in DVD-R/RW/+R/+RW formats and CD recorded in Rs/RWs and rate DTS CDs. • Multiple connectivity support including HDMI output, Ethernet, and WiFi. This LG Blu- ray DVD player with remote is the best option for users who want to upgrade to Blu-ray players but also want a device that can play other formats and stream content from the internet. The thin style of the device not only save space but is also attractive in looks. The compatible audio, video, and image data present on your external HD and flash memory can be played using this LG model through a USB port. There are 2 HDMI ports for separate video and audio output. If you have space issues for accommodating big size players then this Philips model is just apt for you. Capable of adjusting to almost all shelf sizes, the model supports playing Ultra HD Blu-ray discs, standard Blu-ray discs, DVDs, and audio CDs. The 4k upscaling option is available for Blu-ray and DVD discs. In terms of connectivity, the player comes with front USB port, 2 HDMI outputs, WiFi, and Ethernet. Direct streaming from YouTube and Netflix is support by the model but access to providers like Pandora, Amazon Video, Hulu, and others is not supported. • Support Dolby Atoms and DTS: X object bases surround. This Sony Blu- ray DVD player features playback compatibility with 4K UHD, 2D discs, 3D, DVD, audio CDs, Blu-ray, and also SACDs. Additionally, video streaming in 4K quality is supported through Ethernet, WiFi or internet. Using the USB or PCs connected on a network you can also play high-resolution audio files. To enhance your overall audio experience, the player support streaming music to compatible wireless speakers using the SongPal App of Sony. Some users might face issues with slow loading of 4K discs and no Dolby Vision can also be a point of consideration for some. • Facilitates wireless content streaming from the player to any mobile device on the WiFi network. • The player supports twice the color range and 64 times high color expression as compared to the existing conventional Blu-ray players. This Samsung Blu- ray DVD player is a stylish, curved and a thin device which supports playing Ultra HD Blu-ray discs. The player is also compatible with Blu-ray discs, DVDs as well as CDs so that you can enjoy your old favorites as well. The Samsung UBD-M9500 is excellent with respect to its streaming feature as the content can be streamed from the player to the Smartphone and also from the Smartphone to the player. Additionally, you can also connect your wireless Bluetooth speakers or headphones. If you have a 3D TV then this model is not a good choice as 3D Blu-ray disc playback is not supported. Using the player you can also rip the CDs to USB flash drives. This Panasonic model is a cheap Blu- ray DVD player, that has allows playing Ultra HD Blu-ray discs, 2D and 3D Blu-ray discs, and CDs. You can also play DVD-R/RW/+R/+RW and CD-Rs/RWs along with DTS-CDs. The player comes with 2 USB ports, one preset in the rear and one at the front so that you can play content from your flash storage and external HD. Other connectivity options include WiFi and Ethernet. There is only one HDMI output for audio and video in the player. This Blu- ray DVD player price is quite reasonable and with the decent list of features it comes with, it is definitely a good deal. In addition to being a treat for the gaming lovers, Xbox One S also works as a decent Ultra HD Blu-ray player. So it works as a 2-in-1 device where you can play interesting games with your buddies and also enjoy a movie with your family. Internet streaming facility with 4K streaming is also supported from Amazon Instant Video, and Netflix. 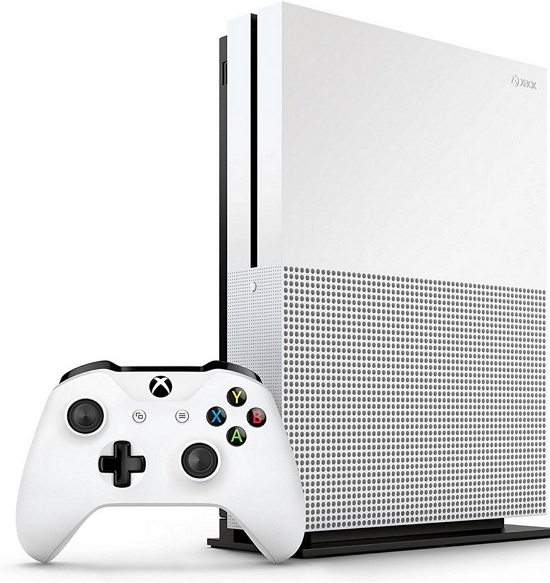 So for gaming enthusiasts who do not want to invest in a separate Blu-ray player, Xbox One S is an ideal choice. • Multiple disc formats are supported. If you love enjoying high-quality audio and want the same for your Blu-ray player to perform then this Yamaha device is a good choice. The player support playing 2D and 3D Blu-ray discs. Audio CDs and SACDs. It also supports 4K upscaling for Blu-ray and DVD playback. Audio and video streaming from Vudu (Netflix streaming is not supported) and other providers are supported through WiFi and Netflix connection. Analog stereo output connection for an audio CD is supported by the player. Additional features include 2 USB ports, Miracast/WiFi direct, device control from remote using Yamaha AV Controller App, and others. • Capable of producing excellent Blu-ray content. Comes with a 4K upscaling feature where you can improve Blu-ray quality to 4K. • HD sound with Dolby and DTS-Master Audio offer excellent sound experience. The SongPal Link Apps facilitates multi-room streaming. • Comes with Miracast Screen Mirroring technology where your Android Smartphone content can be enjoyed on a TV. This model of Sony Bluetooth DVD player support playback of 2D and 3D Blu-ray, DVD, CD, and SACDs. The player also supports 2D to 3D conversion and 1080p and 4K upscaling. To further enhance the picture quality of the content, the model comes with Sony’s Triluminos color processing. With DLAN Home sharing feature you can share the multimedia content of all the supported device in your home. To facilitate playing video, audio, and images on your hard disk or flash drive, there is a front USB port. More than 200 service providers including names like Netflix, Pandora, YouTube, and Hulu allows content streaming. With Bluetooth connectivity content from compatible devices can be streamed directly. This Samsung model of Blu-ray player support playing 2D and 3D Blu-ray discs, DVDs, and CDs with the facility to upscale content to 1080p and 4K.WiFi Direct and Miracast feature allow you to stream your favorite videos or other content from compatible tablet or smartphone. Additionally, the Wireless Multiroom Audio Link feature of Samsung in the player facilitates to stream the played content wirelessly to the wireless playback devices in the house. You can also stream online content through WiFi or Ethernet from popular providers like Netflix, Vudu, Pandora, and others. One of the striking features of this player is its ability to rip CDs to USB flash drives. To your query on will Blu- ray play on the DVD player, the answer is NO. But on the flip side, a Blu-ray player is capable of playing your DVDs as well as CDs. So switch from your old DVD player to a new Blu-ray device to enjoy the high quality content. Make a list of needed features and requirements and from the above list select the most suitable one. A lot of Blu-ray DVD player for sale are also available and if there are no specific requirements you can go for them. Can PS4 or PS3 Play DVDs? Yes!